Most of us use them every day, in plastic bags, without thinking about it. We take one or more almost every store we buy. Whether we buy groceries or new shoes, we do not leave the shop without taking a plastic bag full of the good new things we bought. Then, when we get home, we take what we bought from the bag, throw it away and forget it. Stop! Have you ever thought about what happens to these bags after we finish using them? 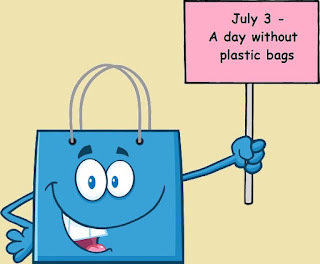 The international day without plastic bags is dedicated to increasing awareness of the damage that plastic bags cause to the environment. We do get rid of them after half an hour and they disappear from our thought, but they do not disappear from the world. The plastic bags will remain in the world for another 100-500 years until they finally disintegrate completely and have a profound impact on our environment as a result. The bags reach the garbage and fly from there to wherever possible. They reach the ground and injure animals that choke on them. They reach the sea and the ocean and kill the fish. They accumulate into large piles and create rubbish, they fill streams and water sources. 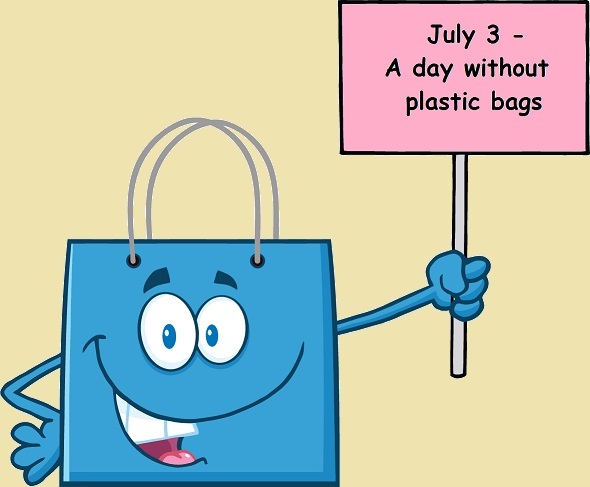 On a day without plastic bags, give up plastic bags for at least one day. Use multi-cloth baskets in a large bag or in carts. When you go shopping in the mall, come with a big bag and put things you buy there. It is also much more convenient than carrying bags! Use biodegradable bags and if you own a store, offer your customers recycled paper bags.